Why Don’t We Have Rings? This is almost embarrassing. Saturn has rings, Jupiter has rings, Uranus, Neptune all have rings…and now even some asteroids have rings. 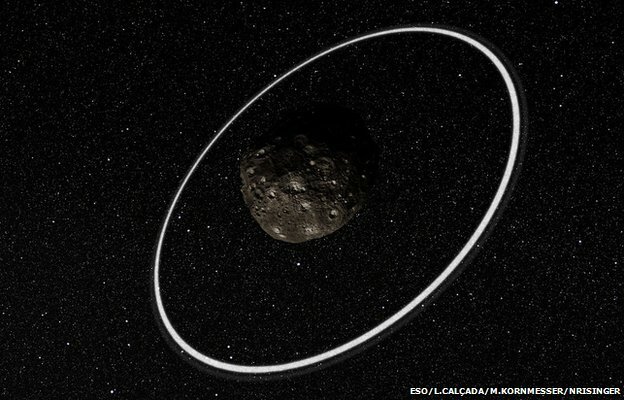 Scientists have discovered that the asteroid Chariklo, all 258km wide asteroid Chariklo, has a ring system (the graphic above is old, the 258km is correct). In fact Chariklo has at least two ring that were observed when it occulted a star recently. Chariklo is about 1AU inside the orbit of Uranus and is estimated to have an orbital half-life of about 10.3 Million years. So the question still remains: Why doesn’t the Earth have rings. Well, some believe that we can blame it on the Moon. The gravitational interaction between the Earth and Moon would make any ring material unstable and, eventually, all the particles would fall to the surface of one or the other. Dang you Moon! I could have had a view that would have been spectacular! Posted in Play and No Work. Tagged Centaurs, Chariklo, Earth, Moon, Rings. Look up in the sky tonight and you might notice something a little odd. The Moon isn’t quite as big as it normally appears. That is because the Moon is at apogee, or the farthest from the Earth in its orbit. 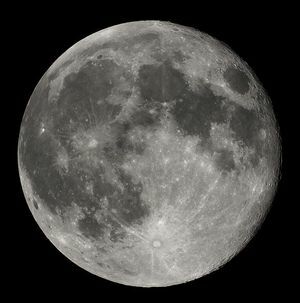 The Moon will be at its current maximum distance of at 8:52 PM DST. Normally, the Moon’s apogee varies from 404,000 to 406,700 kilometers, this month it is just shy (164 kilometers) from its maximum apogee. 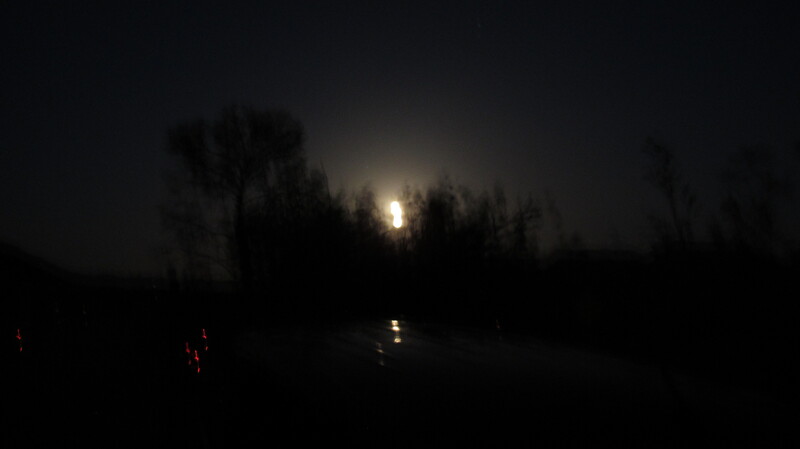 Although the Moon regularly does this cycle once every 28 days or so, this one is interesting because it is a full Moon. This is the opposite of the so called super Moons that are “15 times larger than normal.” Not really, but you wouldn’t believe the number of people that believe this when they see it in the checkout stands. 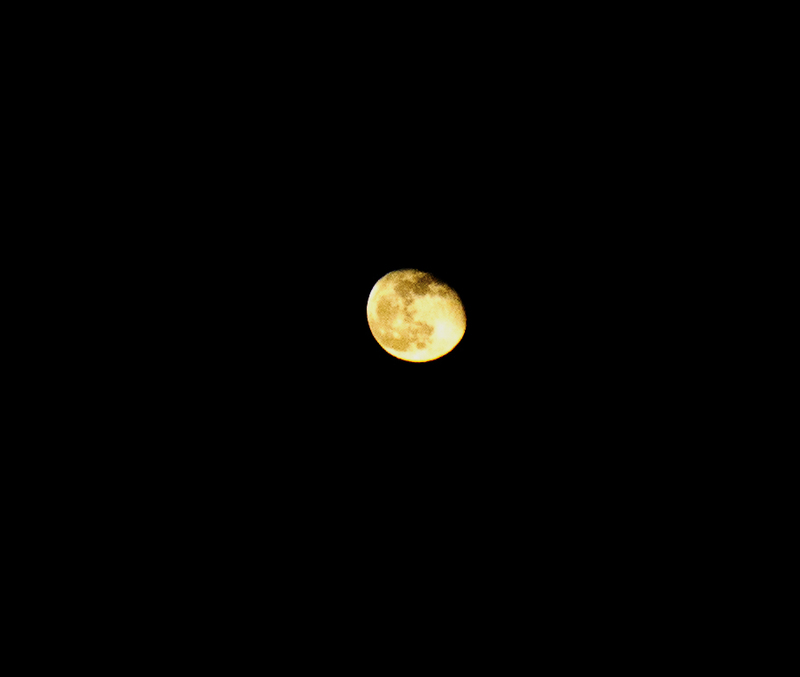 So take a second to look as something small tonight…the Moon. Posted in Play and No Work. Tagged mini-moon, Moon, supermoon. Good photo op in tonight’s sky. If you missed the last conjunction between Jupiter, Mercury and Venus this past month, you’ll get another chance at a good photo tonight.  This time it is the Moon, Venus and Mercury. If you look to the west-northwest horizon tonight you will see all three. 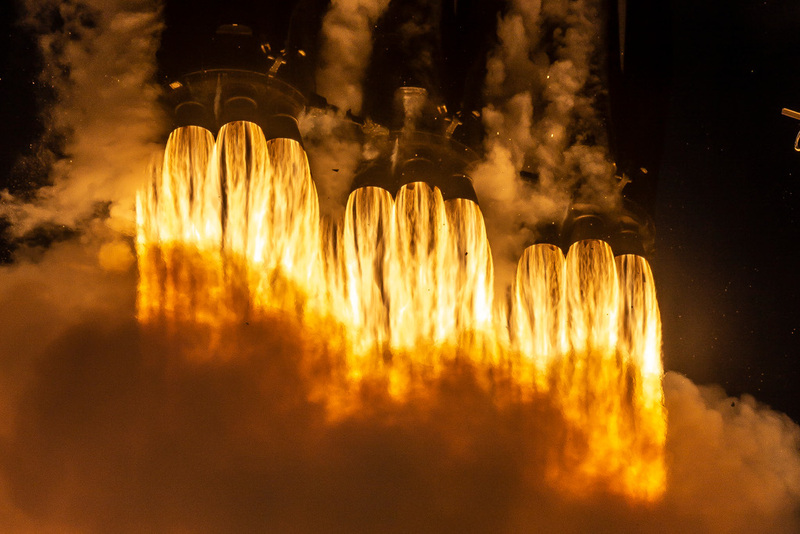 The show will last for about 45 minutes after sunset (Venus sets right after that). You should be able to see all three with the naked eye and you might even want to try and take a photograph. You shouldn’t need anything fancier than your cell phone and a steady hand. Orion even makes devices for holding your cellphone in place for you. I am going to try my hand at getting a few images and I will post the results (provided the weather cooperates). Let me know if you take any images, I would love to see your shots! Posted in Play and No Work. Tagged astronomy, astrophotography, conjunction, Mercury, Moon, science, space, telescope, Venus. Ok, so next up is our closest planet (begin debate here)…the Moon, or Luna to its closest friends. I won’t go into all the particulars, but like some one once said: If it walks like a duck…. Anyway, the important part of this whole thing is that I learned a new skill this weekend! 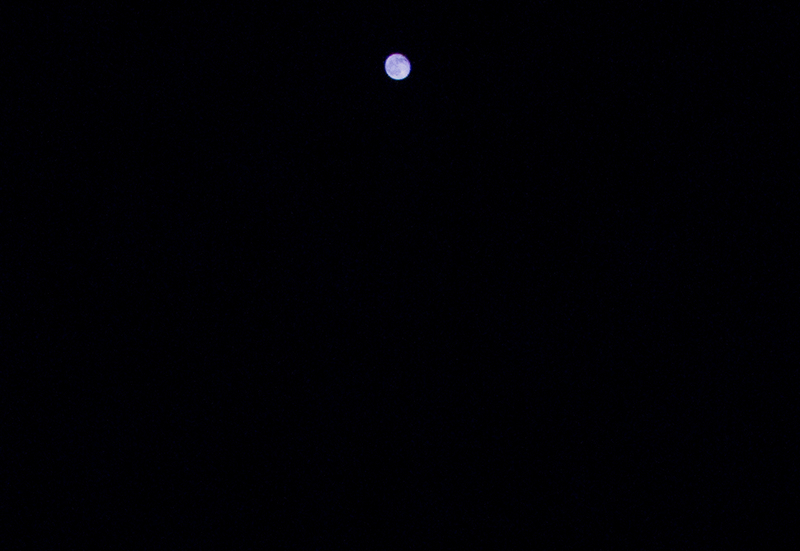 I was out in the desert and the Moon was beautiful. I would have loved to have taken a picture. But alas, the only camera I had with me was my Canon G12. Not quite a DSLR, but it does have some pretty good control for an advanced point and shoot camera. Surely, I thought, there must be a way! So, like any good scientist, I experimented for hours on end with different setting until I alone in all the world possessed the knowledge needed to take perfect Moon shots with my G12!!!! Just, kidding, I did what anyone would do and I used Google to search for the answer. However, as can be expected doing experiments this way, the results that other people got with their G12 settings did not actually work for me. However, it did get me in the well, you know, ballpark. DISCLAIMER: I neither endorse nor condone the playing, watching or in any form participating in the game of Baseball. I am totally agnostic toward any teams in either the AL or NL (go Cubs!). Rule #1: No hand held shots. Rule #2: They lie on the internet (80 ISO at 1/640s my a**). Rule #3: Proper composition please. Rule #4: Focus, even when you are doing it manually, focus. Rule #5: The camera will play tricks on you, it is, after all, alive and evilly dead set against you obtaining any useful images. Rule #6: Even if it really looks this way, Photoshop is your friend. Rule #7: Take lots of pictures…lots and lots of pictures. You will be rewarded. 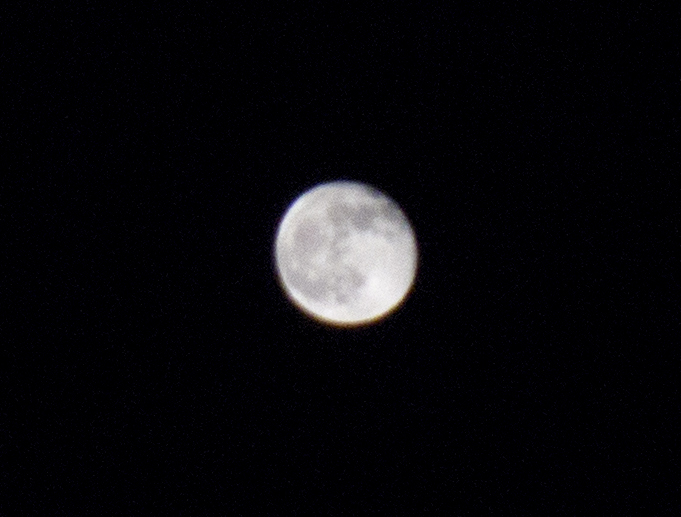 Not bad for a non-DSLR image with some optical and digital zoom in under 200 attempts! Actually, I got quite a few good ones. Tomorrow: The real planet that is closest to us. Posted in Play and No Work. Tagged Canon, Canon G12, DSLR, G12, Luna, Moon, Point and shoot. The moon doesn’t completely block the sun, so there is a ring. I will be traveling to get the best vantage I can for the event and for some astrophotography as well. The timing of the eclipse just happens to be on a new moon weekend. Barring any clouds or bad weather, it looks to be spectacular. This will help me get ready for the total eclipse on November 13 in Australia. I can’t wait to go back to Australia. I highly recommend a trip if you haven’t been there before. The people are great and the country is beautiful. A word of warning!!! Never look directly at the Sun, it will blind you! Google eclipse for ways to safely view an eclipse. Posted in Play and No Work. Tagged astronomy, astrophotography, Australia, Eclipse, Moon, Solar eclipse, telescope.